As an exhibitor or Title Sponsor, your business logo will be featured on all event images including this one! It pays to be seen. Come celebrate with like-minded business professionals from Chandler and across the valley by attending the March 26, 2019 Chandler Business Mid-Day Mash-Up. 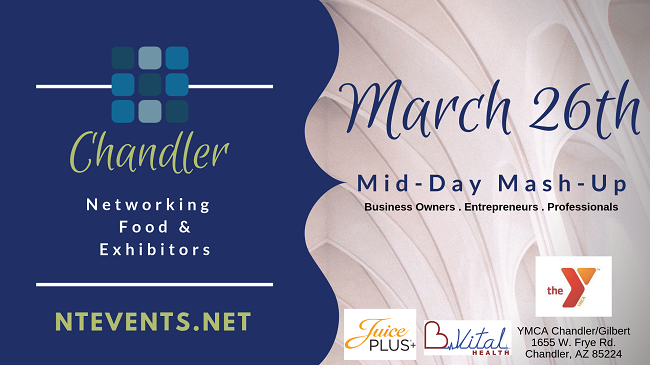 Attend a a mid-day of making new business connections, generating leads, and renewing existing business relationships that grow businesses. Keep up your energy with complimentary food, light refreshments, and music.